Red Beans and Rice is one of many people’s favorite dishes that can be found almost anywhere in Louisiana. You may be thinking – “wait, I’m not in Louisiana and I’m not planning a visit any time soon”! Well, you are in luck. With an iconic blend of onions, bell peppers, celery, garlic and Creole spices, our River Road® Brand of seasonings will bring the flavors of Louisiana-style cuisine right into your own kitchen! Perhaps the most emblematic dish of Louisiana Creole cuisine is red beans and rice. 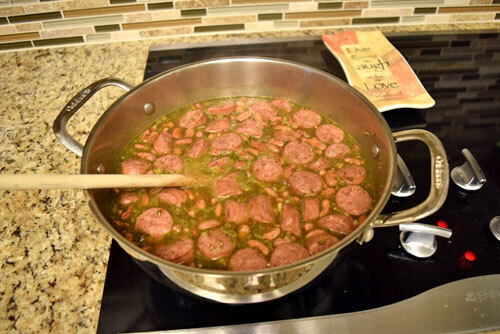 Traditionally served on Mondays and made with red beans, vegetables and the pork bones leftover from Sunday night’s dinner, red beans and rice has become a symbol of New Orleans cuisine. Though simple to prepare, red beans and rice is such an iconic dish that you can find it on dinner tables at home as well as in neighborhood restaurants. In some cases, you may find it dressed up with a side order of smoked sausage or a juicy pork chop! This recipe serves 5-6 people. 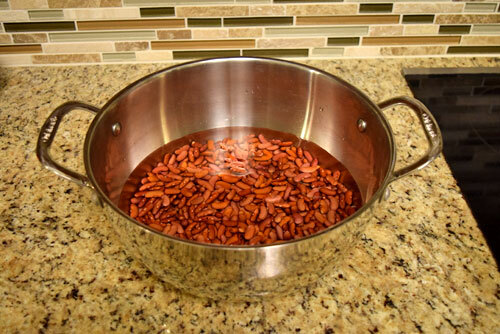 Place 1 lb of red beans in a 4-5 qt pot and cover with about an inch of water. Soak the beans for about 2 hours until they are nice and shriveled! Drain this water and add 7 cups of fresh water to the pot. 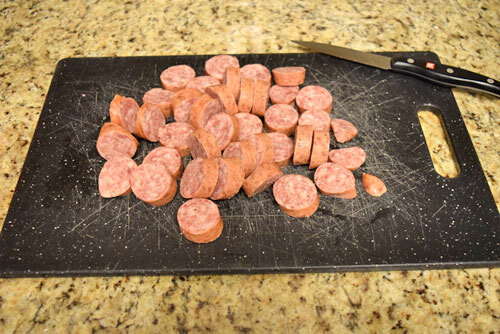 Cut your sausage or pork up to the desired size and add this to the pot. Then add 6 Tablespoons of the Red Beans and Rice Seasoning (about ½ the jar). If you want to be really authentic, throw in a bay leaf or two as well! 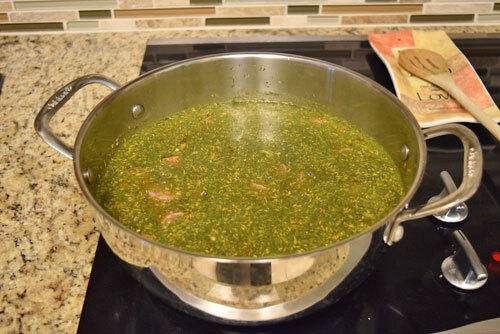 Cover, bring the pot to a boil, and then reduce the heat to a simmer for 2-3 hours, stirring occasionally. The beans should start to get tender after about 2 hours, so continue cooking to your likeness! Our Red Beans and Rice seasoning doesn’t contain any salt. I’d recommend tasting the dish before serving, and season to taste with salt! If you like more of a spicy kick, add 1-2 more tablespoons of seasoning. Prepare a side of rice according to the package directions. If cooking rice seems daunting, no worries! The trick is to cover the rice and not touch the pot until the timer rings saying that it is ready! Keeping the pot covered, remove it from heat and let it sit for about 5 minutes. Uncover the rice and fluff it before serving. 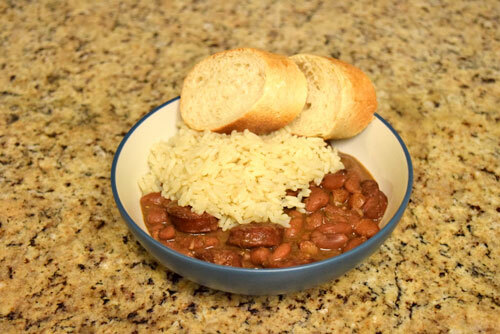 Serve your red beans with a side of rice, and a loaf of fresh, hot French bread!